Stop the installation of the wastewater treatment plant if the slab is not clean. Either fill the perimeter of the plant with the soil or build a concrete encasement in compliance with the building design. When filling with soil, it is necessary to apply 300 mm compacted layers evenly. The soil must be free of stones, building material and other objects, as the plastic tank of the wastewater treatment plant could be damaged. The wwtp must be filled with water before filling the perimeter with soil or building the concrete encasement. The wastewater treatment plant can be installed either by the supplier or the servicing organization. In each scenario, the building work must be performed by the operator unless otherwise agreed upon. * according to selected solution 600 mm. It is advantageous for the customer to purchase the blower shaft for the installation of the blower. The placement of the shaft should be next to the wastewater treatment plant. There is interconnection protective piping with the shaft which simultaneously serves to drain the shaft in the case of irrigation. When placing the blower in the shaft connect it with the air supply hose passing through the interconnecting protective PP-HT DN 50 piping and join at the air timer. 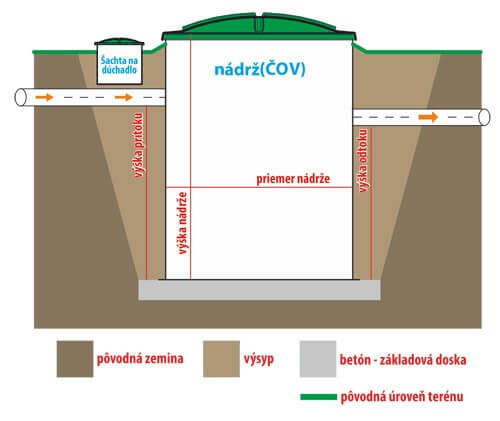 The wastewater treatment plant can be started after the completion of its connection by the consumer, supplier or servicing centre. 3. 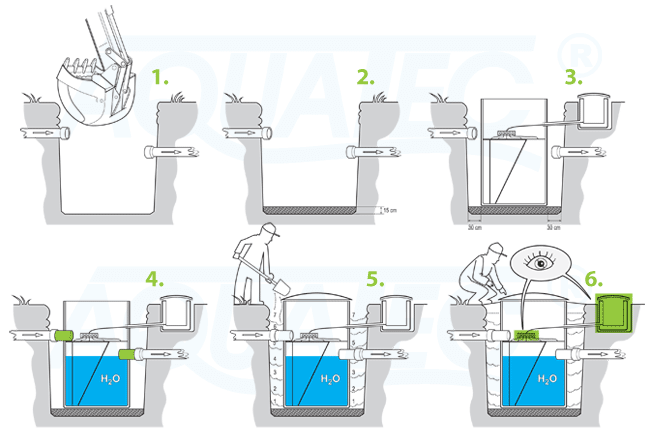 The wastewater treatment plant start up procedure "by the manufacturer or by customer training from the manufacturer"
The most important step of the wastewater treatment plant is the initial start up therefore it requires the manufacturer or a trained customer from the manufacturer do it. approximately 200 litres of active sludge should be poured into the inflow part that is taken from the residential wastewater treatment plant or municipal wastewater treatment plant.